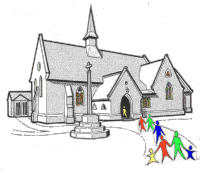 Christ Church has been inviting everyone in this parish to be part of our Christian family since 1864. And like all extended families we are made up of individuals from every generation, background, outlook and experience. We warmly welcome you to join us for any of our services and other activities. You will be in good company. As part of our mission to serve the wider community in Shamley Green and Rowly we also hope you will find the links and information about local organisations, clubs and other groups helpful. If you have made the parish your home or if you work here or if you are visiting we hope you will make the most of what our friendly and caring community has to offer. Take a look at our latest parish magazine here. 8.00pm Holy Communion - a said service using Common Worship (CW). Around forty minutes. 10.00am Family Service - beginning in the heart of our community on The Green, before processing the cross to church. Around an hour. Followed by hot cross buns and coffee in the Jubilee Room. 12.45pm Parish lunch (a simple meal of bread and cheese, fruit and hot cross buns) in the Jubilee Room. Around an hour. 2.00pm Reflections at the foot of the Cross. Around an hour. 8.00am Holy Communion - a said service using the Book of Common Prayer (BCP). Around forty minutes. 10.00am Holy Communion (common Worship) - we celebrate our most important festival by lighting our new paschal candle from the Easter fire, renewing our baptismal vows, and participating in the Eucharist. All our children receive a blessing (and an Easter Egg!) Around an hour. Followed by refreshments in the Jubilee Room. All local residents and Hall users are invited to our Village Hall annual general meeting - refreshments will be served. Shamley Green Badminton Club meet on Wednesday evenings at Wonersh & Shamley Green Primary School Assembly Hall between 8pm - 10om. If you are over 18 and interested in playing then come along - the first evening is free. Annual Meeting of Parishioners. All parishioners on the civil electoral roll are invited to attend this short meeting, at which our Churchwardens are elected for the next twelve months. Annual Parochial Church Meeting. All parishioners on the church's electoral roll are invited to this meeting to: approve the 2018 annual report and accounts; elect the members of the Parochial Church Council (PCC) and Sidespeople; receive other reports about church activities over the previous year; and look forward to the year ahead. We meet in the Jubilee Room. Come along and support our village team on the Green this Sunday afternoon for the opening match of the 2019 season. Bring and Buy Coffee Morning. At the Community Room, Garden Close, Shamley Green. Third Sunday of Easter. Our monthly service at which the children and adults play their full part in our readings, prayers and worship songs. About an hour, followed by refreshments in the Jubilee Room. Come along and support our village team on the Green this Sunday afternoon. Mrs Pankhurst's Purple Feather - Emily Williamson/Etta Lemon. Pioneers of the Anti-plumage Society (now the RSPB). An illlustrated talk by Tessa Boase. At the Arbuthnot Hall. Free entry for members. Visitors welcome, £2.